What would you do with thousands of dollars' worth of savings on pharmaceutical purchases? Would you invest in additional staffing for your pharmacy or new dispensing equipment or ??? 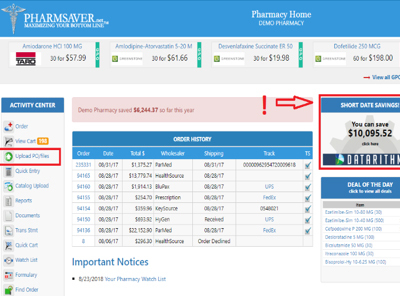 It's an interesting question and it's one that you'll have to answer when you try PharmSaver's new Short Date Opportunity Purchasing Module. 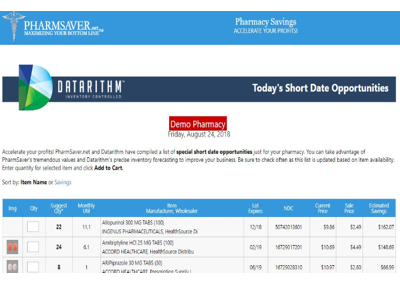 We created the Short Date Opportunity Purchasing Module in conjunction with Datarithm™, an inventory control company. The app analyzes your dispensing history to identify buying opportunities at HUGE savings - often over 80% of regular dating! Using the app you'll set purchase parameters such as generic discount and minimum inventory dating and we calculate not only what products to buy but how much to maximize your savings. We make it fast and easy for you to find and purchase the best short dated opportunities. But you have to act fast as most items are only available for a limited time. reports that you can run and save to a file. Once you upload your initial Acquisition Cost and Utilization files you'll simply upload the previous month's dispensing data to keep your information current. Once a month upload of two files to save thousands. Now that makes sense! 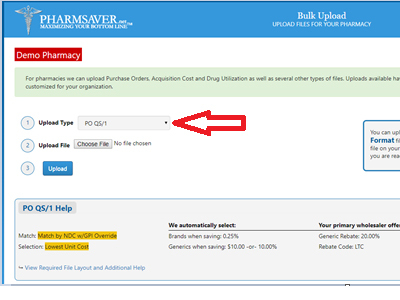 Use the same uploader that you do for Purchase Orders by clicking on the Upload PO/files button on your pharmacy home page. From the Bulk Upload page select the appropriate upload type, either QS1 or Frameworks and Acquisition Cost or Utilization. At the bottom of the page you'll see how the data is expected to look. Browse to the file on your PC and click Upload. It's that simple. If you don't see your pharmacy system in the list or are unsure of how to generate the Acquisition Cost and Utilization reports please email Johnna@PharmSaver.net. We can help! We look forward to helping you save thousands of dollars on pharamceutical purchases every month.